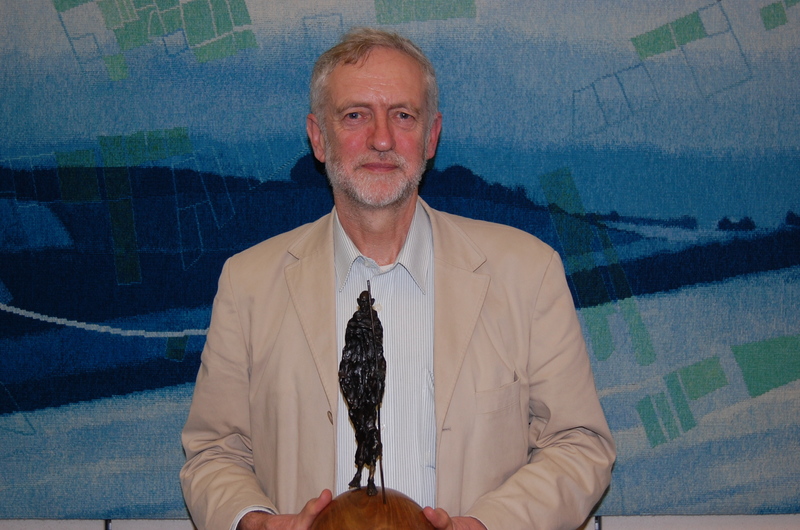 The Gandhi Foundation International Peace Award for 2013 was awarded to Jeremy Corbyn, MP Islington North on 26th November 2013 at Portcullis House. The Trustees of The Gandhi Foundation agreed to offer him our International Peace Award in recognition of his consistent efforts over a 30 year Parliamentary career to uphold the Gandhian values of social justice and non‐violence. Besides being a popular and hard‐working constituency MP he has made time to speak and write extensively in support of human rights at home and world‐wide. His committed opposition to neocolonial wars and to nuclear weapons has repeatedly shown the lack of truth in the arguments of those who have opposed him. I don’t remember this being covered by the BBC, or the Labour Party saying anything about it either. Perhaps they were all in a huff because Tony Blair never won it!.